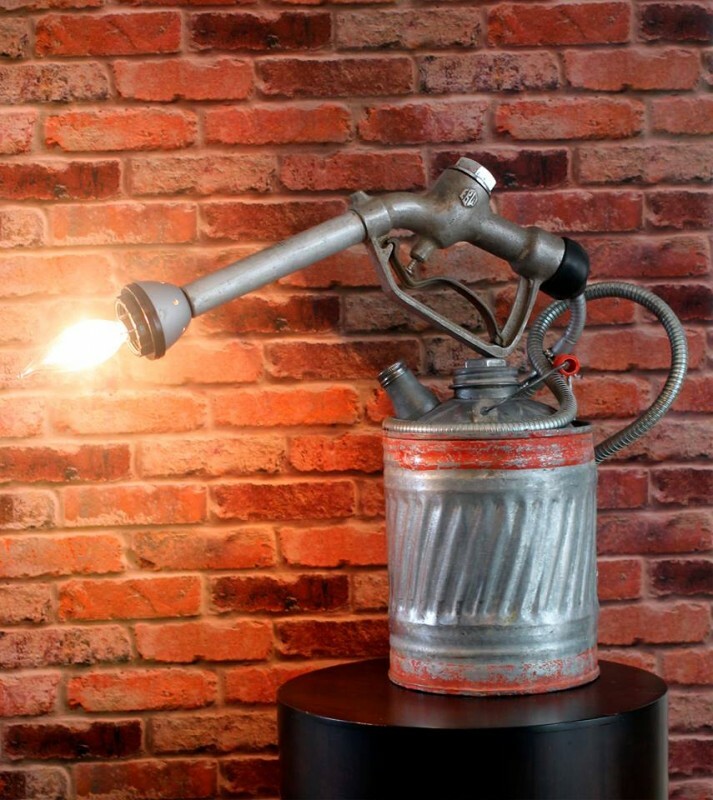 A rustic vintage lamp made with gas can and vintage gas pump married together to makes for a perfect industrial modern table lamp. 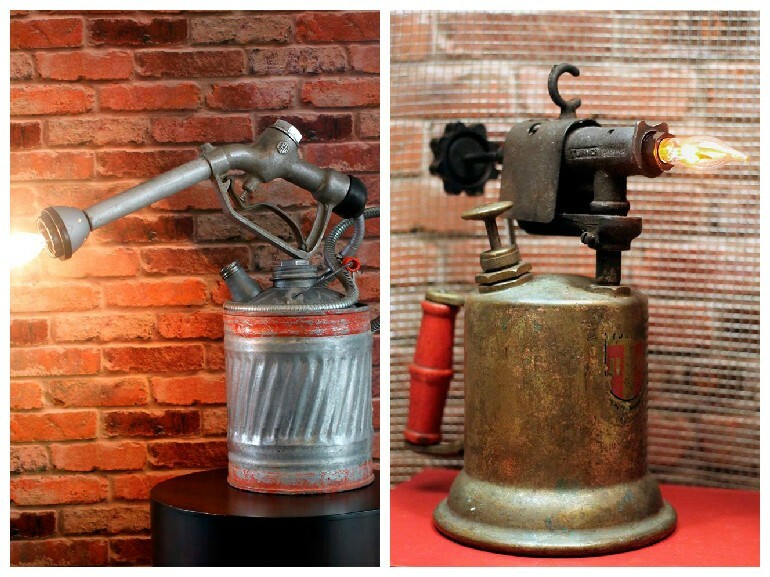 Vintage Industrial 1930’s – 1940’s Gas Pump Handle and Gas Can re-purposed into a Lamp. Vintage metals with original Patina as shown in photo. 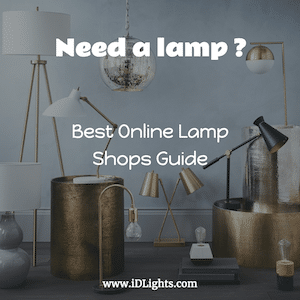 Cast Aluminum EBW 402 Gas Pump Handle with spout is finished off with a light bulb and can be easily adjusted to desire location to give you the look your most happy with. The photo shows the handle being displayed on top of the gas can. The electrical conduit allows you to control the desired placement of the Gas Pump Handle.